Launching a startup is exciting for entrepreneurs, especially in this day and age where technology has made doing business easier and more efficient than ever before. Technology has opened up a ton of marketing methods that allow you to sell your products and services and build your brand. 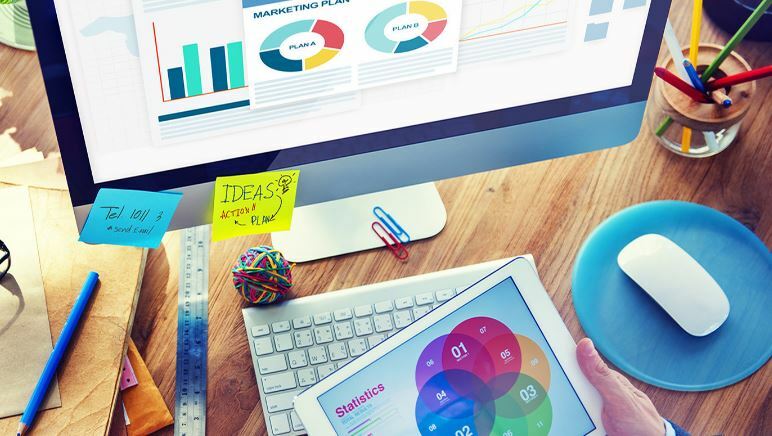 These days, a startup may be able to bypass traditional marketing tactics via print and TV but most will need to utilize a digital marketing strategy to reel in and retain customers. If you have noticed the term “digital marketing” being used more often recently, it’s because this is the engine that drives today’s businesses, big and small. Digital marketing uses digital technologies, mainly on the Internet, but also mobile phones and other digital mediums to reach customers. According to Google, companies that use digital marketing strategies have 2.8 times better revenue growth expectancy than those that don’t. This is because customers rely heavily on the internet when it comes to making purchasing decisions. With all the opportunities that exist online, startups should be asking the following questions: what are the digital marketing activities that require low investment but let you reap maximum benefits, and how can you create a digital marketing plan for your startup? Here are some useful insights to help you in creating a digital marketing strategy that will bring you closer to your goals. In creating a digital marketing plan, it is crucial to define a category for your product or service and map out its key benefits. Ask yourself this, “who is my customer and what exactly should they buy from me?” This is a necessary step in order to structure the right look and feel for your brand, from the name, logo, URL address, and others. You can then apply it to your digital marketing strategies. Next is to establish your web presence. At least 80 percent of consumers use the internet to make their search for information more convenient. Create not just a functional website for your brand but also one that is accessible in multiple platforms including smartphones, tablets, and Smart devices. Part of digital marketing is promoting brands and services through one or more forms of electronic media. This means you will need a rich blog site, a Facebook fan page, and a Twitter account at a minimum. Some businesses even create an Instagram account. These channels allow you to regularly communicate with your customers. Whatever it is you share on your profile, your followers will see, increasing brand visibility and retention. Blogging should also be part of your plan. Around 53% of marketers say that blog content creation is their top inbound marketing priority. Why not, when it is one of the best ways to increase traffic to your site. To further support your web presence and social media activities, you will need to plan out your digital public relation efforts, which include techniques like crowdsourcing. This will allow you to monitor your online reputation. Digital marketing won’t be complete without incorporating search-engine optimization (SEO) and link building strategies. The main goal is to top the rankings in the search results when a customer types in keywords associated to your business. Early-stage companies should start with the on-page optimization of their site. Combine it with a strong social media presence, an engaging company blog, and strategic keywords and you’re looking at a plan that has a high potential for success. Lastly, your digital marketing plan should include the development of an effective online advertising program. Startups can take advantage of Google AdWords since it’s cost effective, flexible, and results-oriented. It is also highly-scalable, as it allows you to measure traffic to your site. You will know in real time what is or is not working for your online business. Thus, you will be able to find immediate solutions to improve your results. Technological advancement has enabled more consumers to rely on handheld devices, web searches, and other online tools to make purchasing decisions. In today’s startup industry, you need to be competitive for your brand to be a hit. Get into the trend with digital marketing solutions. If you are not the strongest marketer, you can hire a professional outside of your organization.